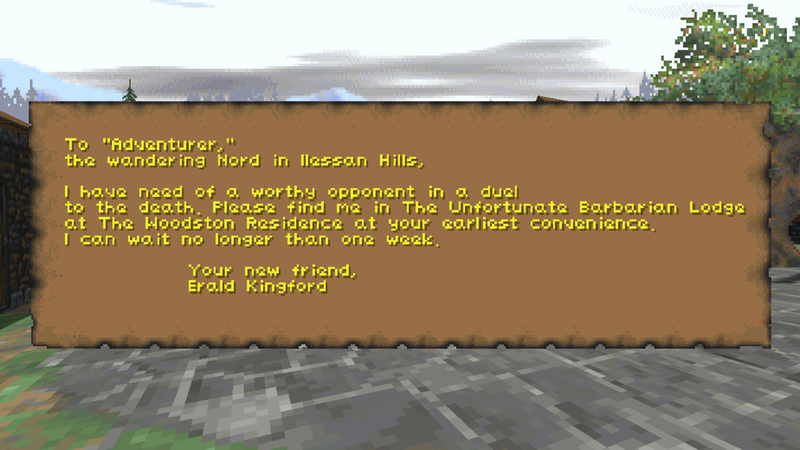 Note: This quest pack has been merged with Daggerfall Unity Quest Pack 1. 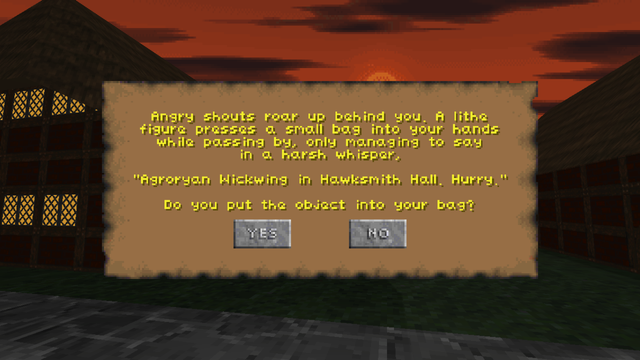 Do you want to add some unexpected events to your Daggerfall? Want the world to reach out to you instead of always having to go look for trouble? Or see the world pass by with you as a tiny speck in it? These quests generate each other, so they go in an endless cycle. You'll have to remove them from the quest folder or use a quest removal command in the console to stop them. 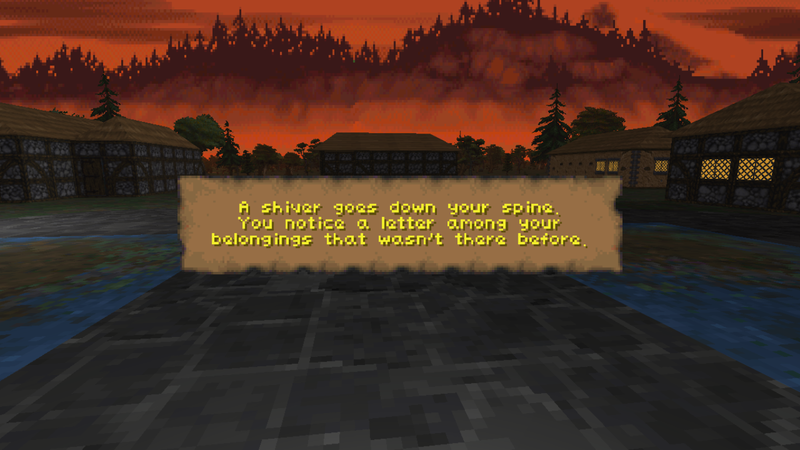 They're meant to add a little spice to ordinary Daggerfall, so go about your ordinary business and let them happen when they will. 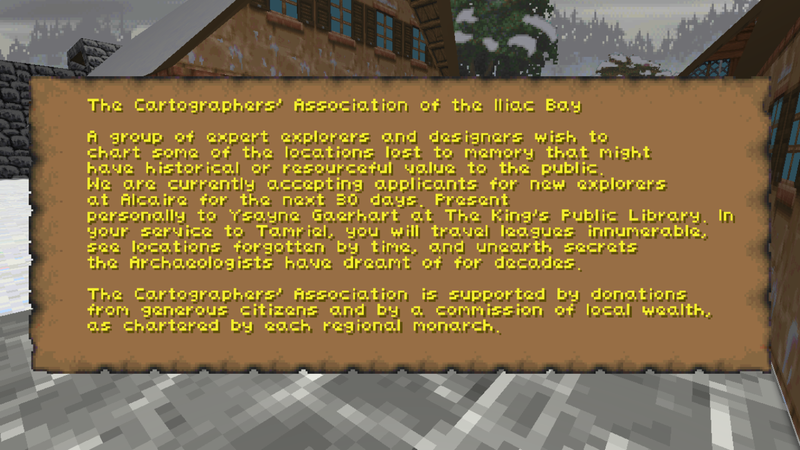 The Cartographer expansion pack is included, and adds a questline based on outdoor exploration. Last edited by Jay_H on Tue May 22, 2018 9:28 pm, edited 4 times in total. Do I need to take out the quest pack first ? Or is this backwards compatible ? Each pack should be mutually compatible. They each run on independent systems. 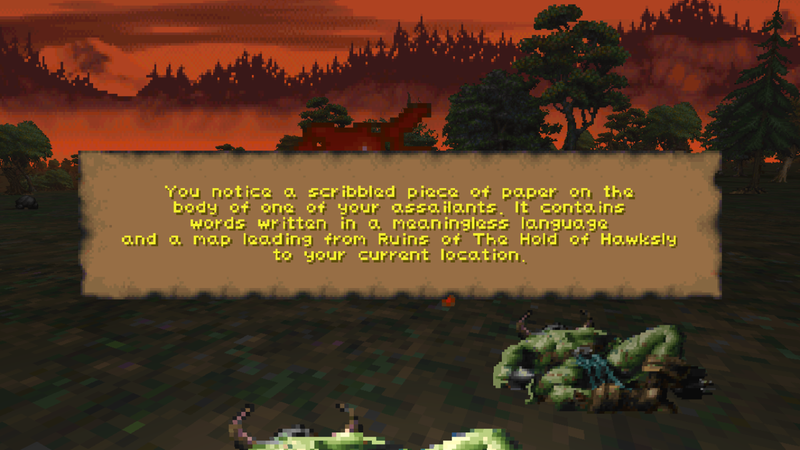 Daggerfall needed this tbh. Only thing left to do imo is to have bandits/creatures outside of dungeon entrances and fortresses and it will feel less dead. I've now added an automatic start to _BRISIEN.txt as well as installation instructions. 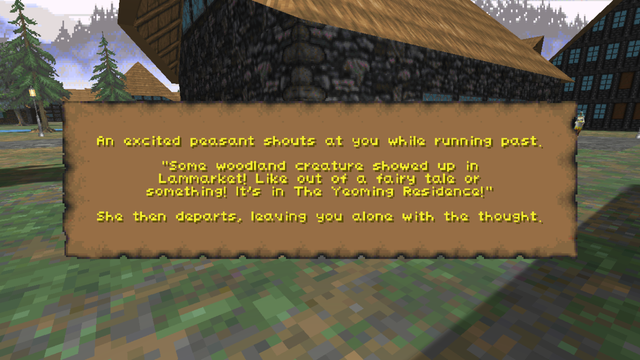 After installing the mod, players can immediately begin to receive the Perpetual Quests with no console use whatsoever. This is dependent on the players running the main quest at game start. How do you start the Cart guild quests ? Just JHCG001 in the console ? The proper introduction is in JHPQ005. But if you just want to get to the good stuff, use JHCGENT0. So the cart guild is dynamic too, and JHPQ005 starts it all ? Yep. 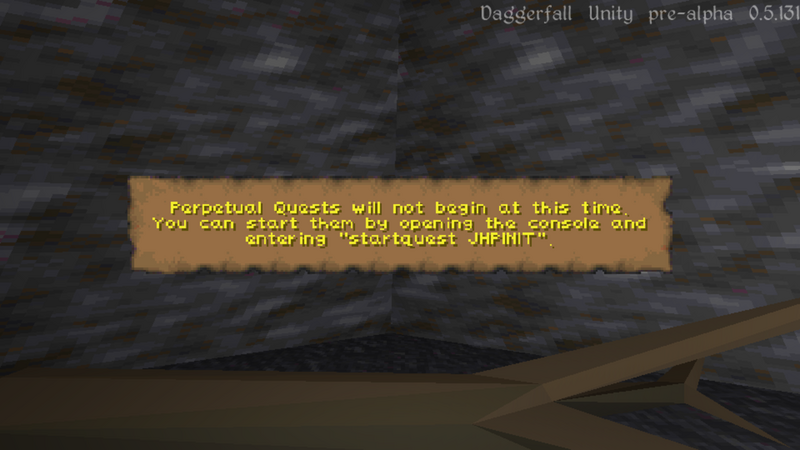 Once you successfully complete PQ005, it'll start to throw Cartographer and Perpetual quests at you. The Cartographer quests will end if you fail them and refuse to follow up, but the Perpetual quests do not end.